Does everyone need to know how computers work? I read an interesting article in today's Irish Times about how Irish schools need to do a better job of teaching children about Information and Communications Technology (ICT). I tend to agree with the author's point that his children are not getting a significantly better education about ICT than he did 30 years ago despite the fact that there are now many more computing devices in the classroom. Naturally what matters most is how the computing devices are used for educational purposes rather than the fact that they have the latest versions of all devices. Indeed it could be argued that some of the most recent devices are not good for learning because they configure themselves and hide much of the complexity from the user. Teaching pupils how computers work e.g. teaching programming skills. Using computers to facilitate teaching a completely unrelated subject. For example, the Irish Times pointed out that foreign language learning can be enhanced by using Skype to converse with a native speaker of the language in question (this does not require much knowledge about how Skype works). Even the most enthusiastic supporters of the ICT industry would admit that the majority of the school children will not end up working in ICT when they grow up and so the 2nd type of teaching is more important. While this is partly true, I do think that all children should be exposed to at least a minimal amount of the 1st type of teaching (the Coder Dojo movement is perhaps an excellent way to tackle that). I think that this is equivalent to teaching children about cars. The majority of school children will grow up to become car drivers rather than mechanics. This means that they don't need a detailed understanding of car maintenance procedures, but at the same time potential drivers are required to show some elementary knowledge of car maintenance in order to pass the the test to get a driving license - this is so that drivers will be able to deal with issues that may arise while they are driving. In a similar vein I think everyone who uses computers in their daily life needs a basic understanding of how computers work so that they can work around issues that occur when they sometimes don't work as expected. 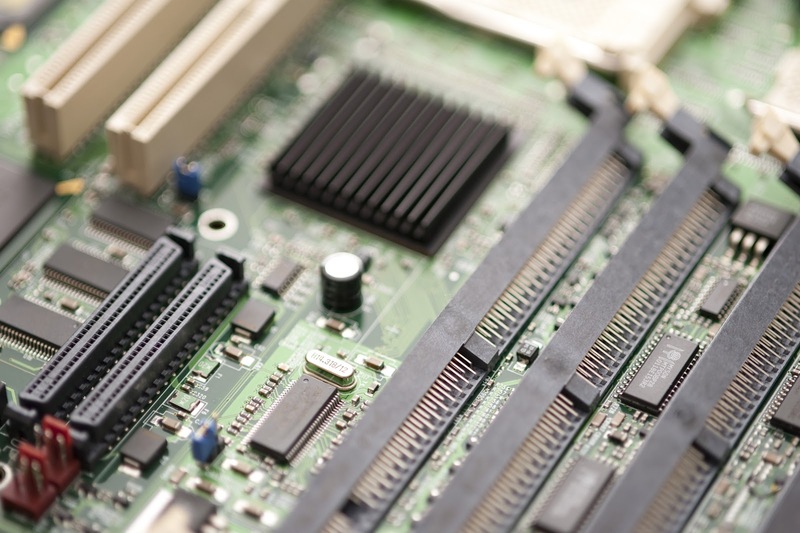 Since everyone needs to use computers in the modern world, this is means that everyone needs to learn a little about how computers work. Primary schools are an ideal place to impart these skills. I have often heard of people growing herbs like chives and parsley etc. 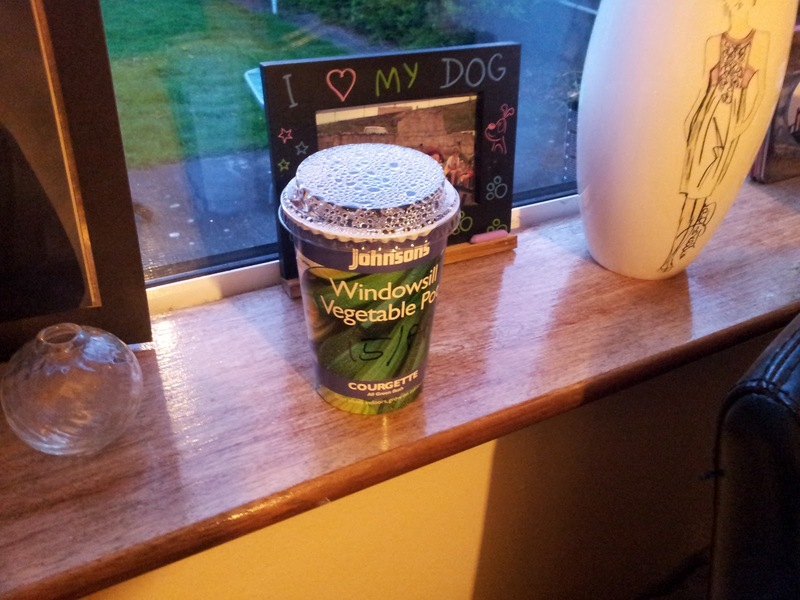 in their window sill, but on a recent visit to my local supermarket I was surprised to see that they were selling kits to allow people grow vegetables in their window sill. I decided to purchase a pot that supposedly allows me to grow Courgettes (the local name for Zucchini). I must admit that I am sceptical about the chances of growing a large vegetable like this in my kitchen window, but the kit was cheap and so I thought that there was no harm in trying. The kit looks surprisingly similar to a pot noodle container and the clear instructions on the side are equally easy to follow. The only problem is that while pot noodles are ready to consume after 3 minutes, the vegetables will probably take more than 3 months to grow. I will let you know later in the year how I get on. 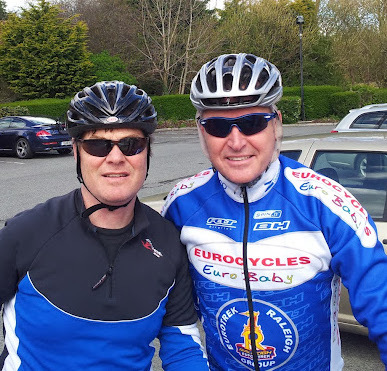 Laurence Roche is a former participant in the Tour de France and a brother of the Stephen Roche who won the event. Currently Laurence runs a company that help administer the bike to work scheme whereby employees can purchase a bike in a tax efficient manner. As part of the service he provides, he hosts regular training cycles to help the employees in the companies that he works with can get a chance to make more use of their new bikes. This morning I joined in one of these training cycles that covered a 40 km route starting and ending in Clonee. I must say that this was a really enjoyable event. Laurence was very friendly and helpful to us novices. We had a great cycle in the unusually pleasant weather and Laurence kept checking with all of us to see that the pace was not too fast. I definitely intend to attend more of these training cycles. Hopefully we can recruit more people to take part and maybe even form a new cycling club. Here is the route as recorded by the My Tracks application on my phone. Many years ago relative of mine used to complain that he suffered from Seasonally Affective Disorder (SAD) due to lack of access to natural sunlight during the dark short days that are a feature of the Irish summer. As a result he had a special light box which supplied him with a light spectrum that mimicked the frequency spectrum of natural light. I think we all appreciate having plenty of access to natural light and so I briefly considered purchasing a similar device myself - but at the time the cost of the device was prohibitive and they consumed a huge amount of electricity. Recently a friend of mine told me about a UK based company called Nulight which sells a modern energy efficient version of the same thing that they call the Daylight Bulb. 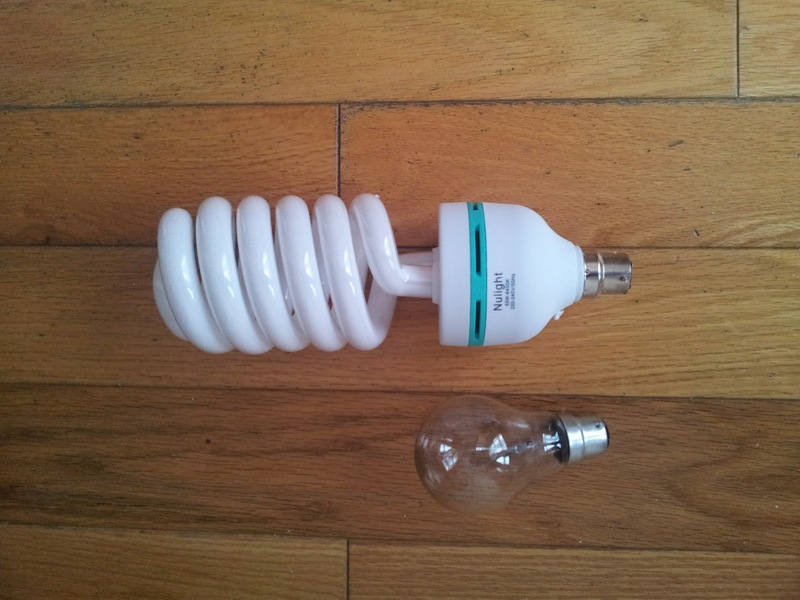 It is essentially a replacement for a normal light bulb and it fits into a normal light fixture. I bought the 65 watt version which cost me just over £10stg (plus P&P). Although it is called a 65 watt bulb, my current cost meter tells me that it only consumes about 56 watts of power. My home office has a north facing windows and although it is not really dark, it is noticeably less bright than the south facing rooms in the house. When I installed the new light in it I could immediately notice the difference even in the middle of the day. I would estimate that the amount of light coming from this new bulb is even stronger than a floodlight which I have installed out the back of the house - however the floodlight consumes about 250 watts of power. For the past few years, I have run in the Great Ireland Run every year. Despite the fact that I entered this year, I won't able to take my place at the starting line for logistical reasons. I would like to give best wishes to everyone taking part - I am sure it will be a great day. It looks like the weather will be very pleasant. In order to make up for missing the race, I ran my own 10km route in Galway. I was delighted that I managed to get the 10km run done in under the critical 1 hour barrier. 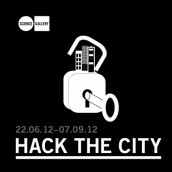 The goal of the programme is to rethink our cities from the ground up through the spirit and philosophy of the hacker ethos - to bend, mash-up, tweak and cannibalise our city systems, to create possibilities, illustrate visionary thinking and demonstrate real-world examples for sustainable urban futures. I know you might think that June is a long time away, but the call for registrations has just been released and if you would like to take part, you would be well advised to register your interest very soon because I expect that this event will be over-subscribed.